National Grid wants to raise our energy rates and expand its dirty gas infrastructure. 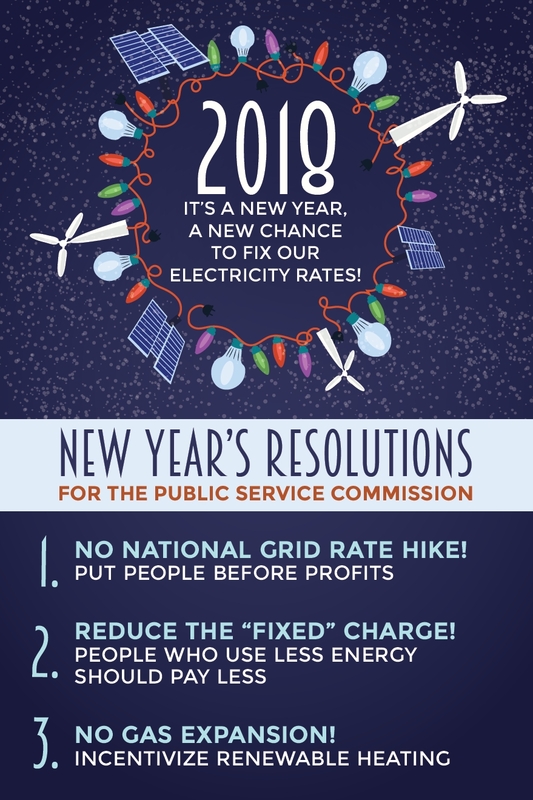 Alliance for a Green Economy (AGREE) is asking the Public Service Commission to reject National Grid's rate hike request. Furthermore, we are asking them to lower National Grid's high fixed charges (the part of the bill that stays the same no matter how much energy you use), and we're calling on them to stop National Grid's plans to expand its gas distribution network in New York. You can join this postcard campaign! 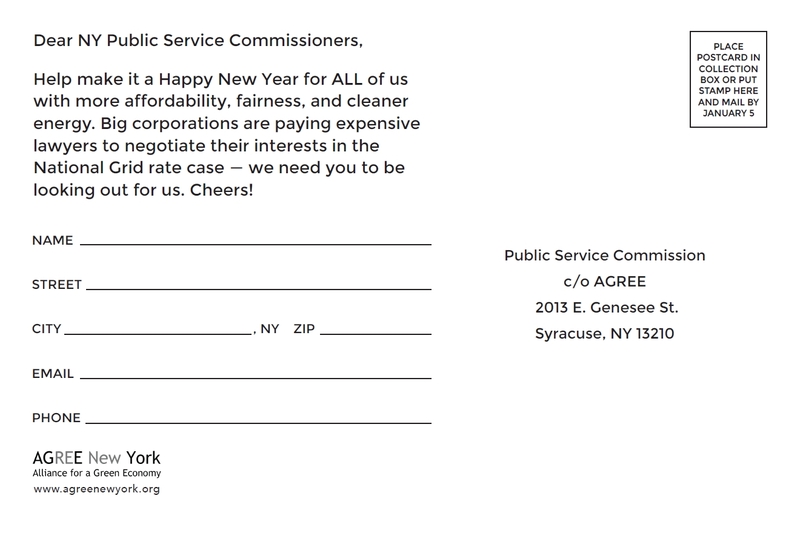 Sign one electronically below, and we will fill out the physical postcard for you. Do not add me to the AGREE email list.